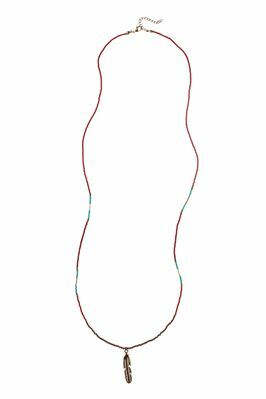 By Nakamol Design. 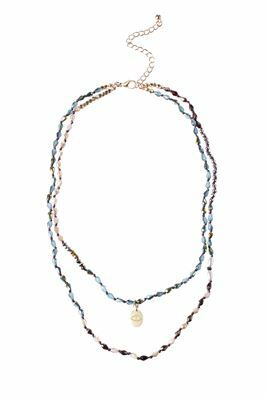 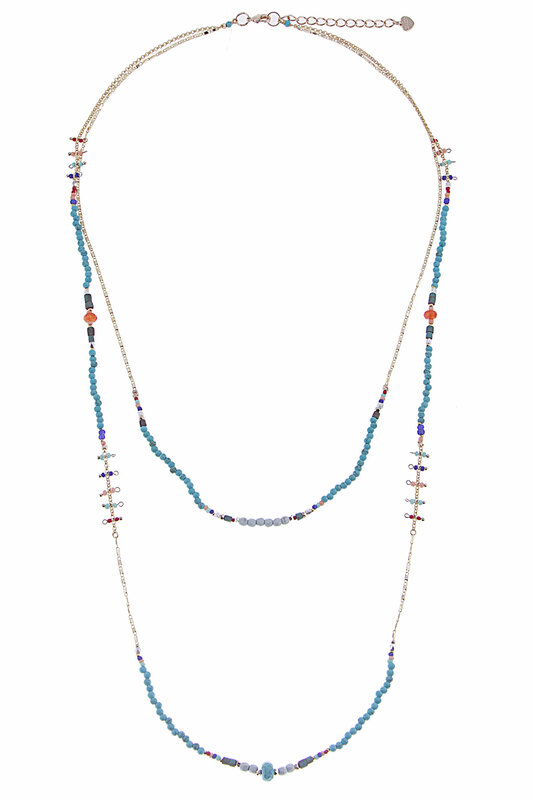 Multi-strand beaded necklace featuring turquoise stones and metallic spacers on a delicate chain. 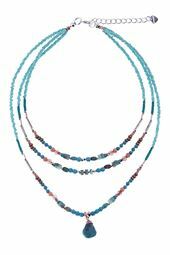 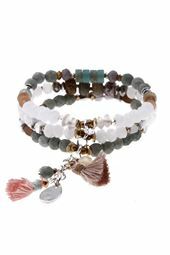 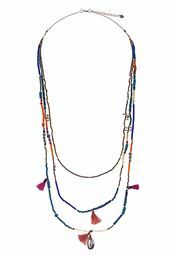 Offers adjustable length at clasp.